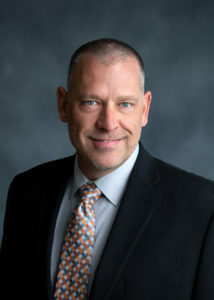 Tim D. Lisowe, SHRM-CP, PHR has served as the Chairman of WOW – WE CARE CHARITY, INC. since 2019. Prior to his role as Chairman, he served as the organizations President for two years. He has also led WOW Logistics Human Resources Department as the Vice President of HR since 2012, where he oversees recruitment and staffing, benefits, compensation, classification, training, employee relations, and payroll. Tim attended Moraine Park Technical College and the University of Wisconsin-Fond du Lac, where he studied supervisory management, with an emphasis in human resources. In 2011, he was certified as a Professional in Human Resources (PHR) by HRCI, and in 2015 he was certified as a Certified Professional by the Society for Human Resource Management (SHRM-CP). He is a member of the Fox Valley Society of Human Resources and has served on its board as treasurer since 2015. In his free time, Tim enjoys working outdoors, remodeling homes, and traveling. Tim and his wife, Krista live in the Chilton area. 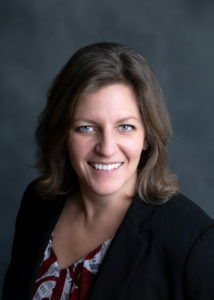 Amanda Lindberg has served as the President of WOW – WE CARE CHARITY since 2019, and previously held a board member role within the organization for two years. She is also the Director of Marketing Communications at WOW Logistics and has been with the company since 2012. 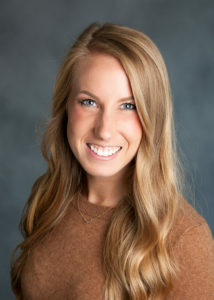 In her role, she oversees all aspects of WOW Logistics marketing strategy and brand management. Amanda graduated from the University of Wisconsin – Oshkosh in 2013 with a Bachelor of Businesses Administration focused in Marketing. She lives in Milwaukee with her husband, Evan, and their dogs, Nelson and Lola. In her free time, Amanda enjoys running, traveling, and spending time with family and friends. John Elrick joined WOW – WE CARE CHARITY in 2019 as Vice President. 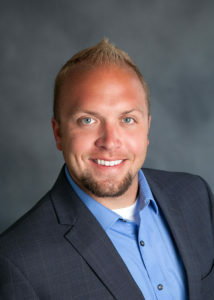 He is also the Vice President of Real Estate Development at WOW Logistics where he oversees all new construction and renovation projects as well as the Repair and Maintenance division. John previously served as the President of the Little Chute Diamonds Club, Inc., a 501-C-3 non-profit organization, and is currently a Trustee on the Little Chute Village Board. John has more than 25 years in the construction industry starting as an Architectural Technician and moving up to a Project Manager for multiple Design/Build General Contractors. John and his wife, Jenny, enjoy traveling and have three adult children. Kelly Mickle joined WOW-WE CARE CHARITY, INC. in 2017 as the Treasurer. She is also the Supervisor of Financial Transactions at WOW Logistics Company, where she oversees the daily operations and processes for WOW’s Managed Warehouse Services and Commodity Purchase Program. Kelly graduated from NWTC with her Administrative Assistant Degree in 2005. She has been married to her husband, TJ, for 7 years. They have two sons, Foster and Blake. In her free time, Kelly enjoys camping, fishing and being outdoors with her family. Chee Her joined WOW-WE CARE CHARITY, INC. in 2019 as the Secretary. She is also a Legal Assistant at WOW Logistics and has been with the company since 2015. 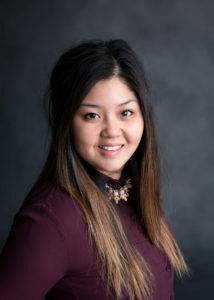 Chee graduated from Fox Valley Technical College in 2015 with an Associates Degree in Human Resources. She lives in Oshkosh with her husband, Tou, and their three children. In her free time, Chee enjoys spending time with family and being outdoors. Laura Kamerer is a resident of Greenville WI. She is married to Howard Kamerer, President and CEO of WOW Logistics, and is the mother of three children. Laura has volunteered for WOW – WE CARE CHARITY, INC. since it’s inception two years ago. She participates in the organization by serving on its Board of Directors, coordinating special events, and assisting in facilitating charitable requests. 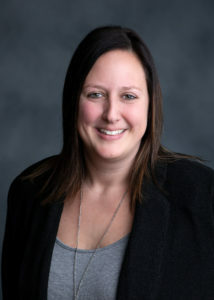 Amy LeGrand has volunteered on special committees for WOW – We Care Charity since November 2017 and was elected to Board Member in December 2018. She is the Executive Administrator to the President and CEO of WOW Logistics, a position she finds challenging and interesting. Amy has a degree in Business Management and has been in the Executive Administrator role for over 15 years. Prior to working in an office environment, Amy was an entrepreneur and owned a salon in Madison WI. 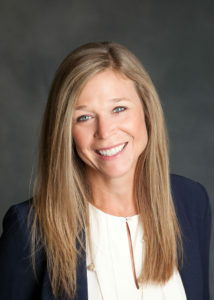 Amy also serves on the board for her condo association and volunteers her time through various Fox Valley organizations. She enjoys being active outdoors, spending time with family and friends, and traveling. Cheri Ledvina joined WOW-WE CARE CHARITY, Inc. in 2019 as a board member. She has been with WOW Logistics since 2012 in various HR and Operations roles and is currently the Manager of Employee Relations. Cheri graduated from UW-Oshkosh with a Bachelor’s degree in Education and a minor in Spanish. She resides in Bellevue with her husband, Bart, and two daughters; they are expecting another daughter this spring. In her free time, Cheri enjoys spending time with her family and friends.